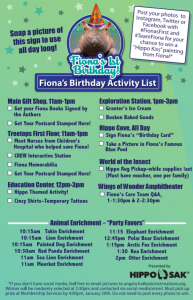 This event is free with Zoo Admission. Experience half-price admission through March 9. 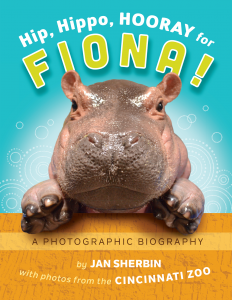 You’ve been with us since day 1, following the journey of premature baby hippo Fiona. Now it’s time to celebrate! Our little hippo turns one on Jan 24, but we’re celebrating on Saturday, Jan 20! 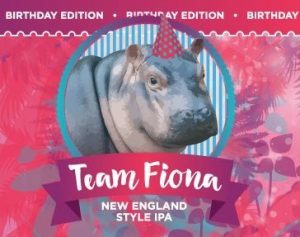 Make sure to wear your #TeamFiona gear to the party! 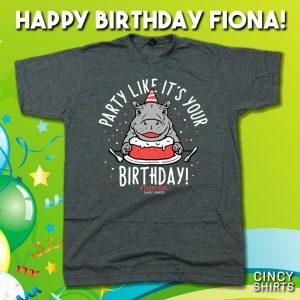 From the New York Times to a local WCPO hour-long special, Fiona has gotten a lot of attention in her first year! 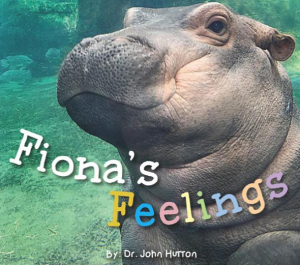 Thank you to the Cincinnati Community, and Fiona fans and supporters from around the world! The train and carousel will not be operational on this date. 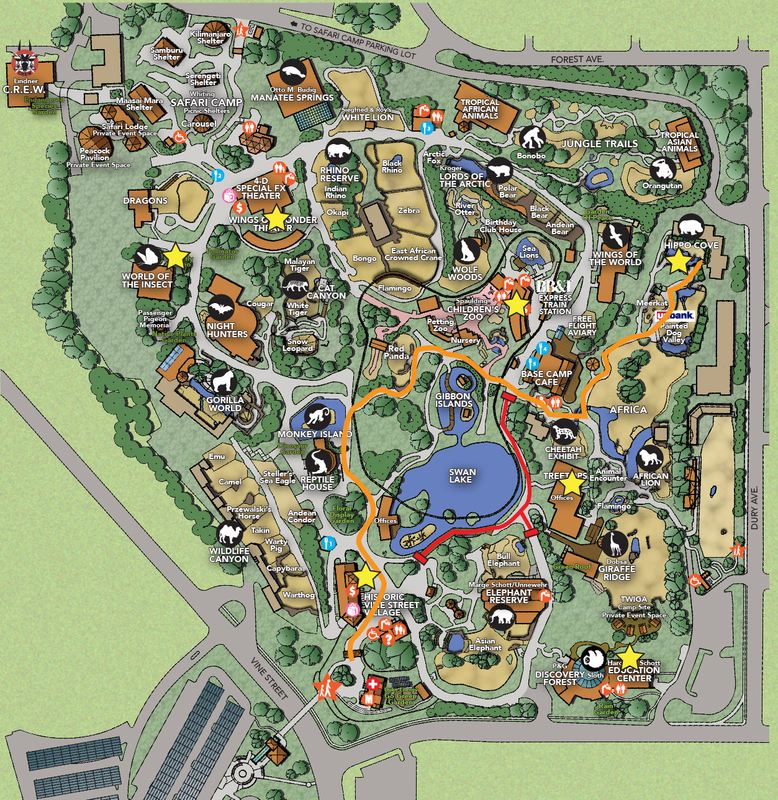 Some of the paths are closed due to construction. 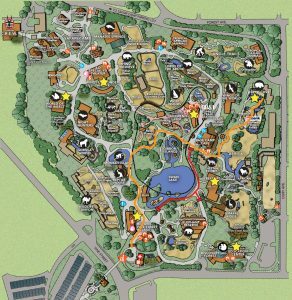 Please use this map to help you navigate through the Zoo! *Hippo rugs generously donated by Saturday Knight Ltd. One pack per family. 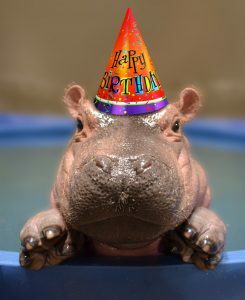 Must have voucher to pick up hippo rug. Vouchers will be handed out at the front entrance, as you get your tickets or membership scanned. Voucher redeemable at Insect World, on January 20th only. While Supplies Last. 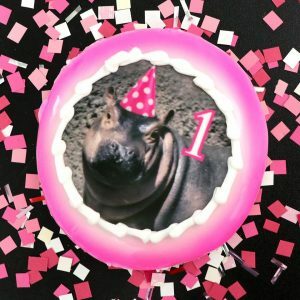 Busken Bakery is selling its birthday-edition #TeamFiona cookie and at the locations listed on their website for a limited time. 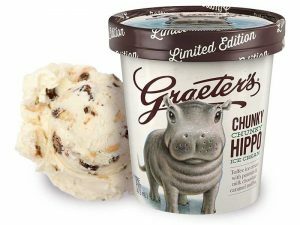 Graeter’s Chunky Chunky Hippo is available online at Graeters.com and at Kroger, Whole Foods, Fresh Market as well as all of Graeter’s 53 scoop shops in the Midwest. The ice cream features a toffee base filled with salted roasted peanuts and milk chocolate caramel truffles. 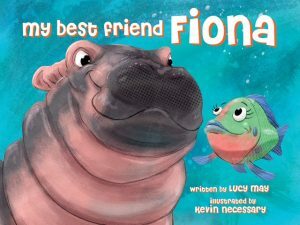 The new pint will also include a new illustration of Fiona by Cincinnati artist Loren Long. 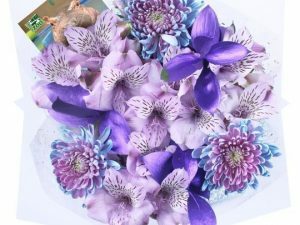 Kroger is selling a Fiona Birthday Bouquet of purple irises and small lilies in Greater Cincinnati stores, and $1 of the $9.99 price will go to the zoo. The bouquets also feature a picture tag of Fiona. 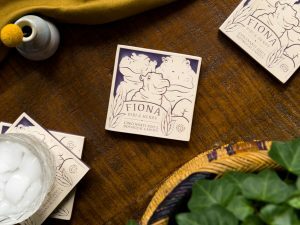 Rookwood Pottery is releasing a birthday ceramic coaster. The piece commemorates Fiona along with her parents. 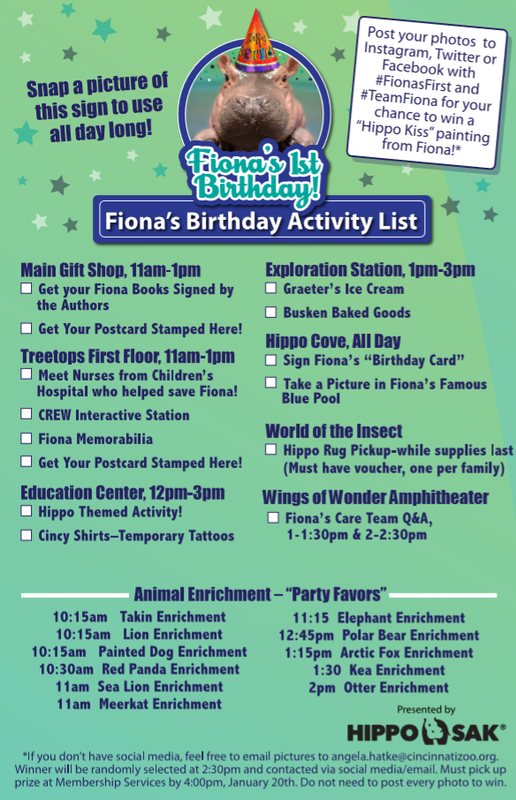 On Jan. 27 from 10 am-2 pm, head to the OTR studio for a hippo-rific bash, complete with a Cincy Shirts pop-up shop, artist signing, Fiona cupcakes from Busken and special presentation from Fiona’s friends at the Zoo.